STATUS – A resident that is locally distributed and generally uncommon in Derbyshire. A species that is recorded in small numbers each year close to woodland. 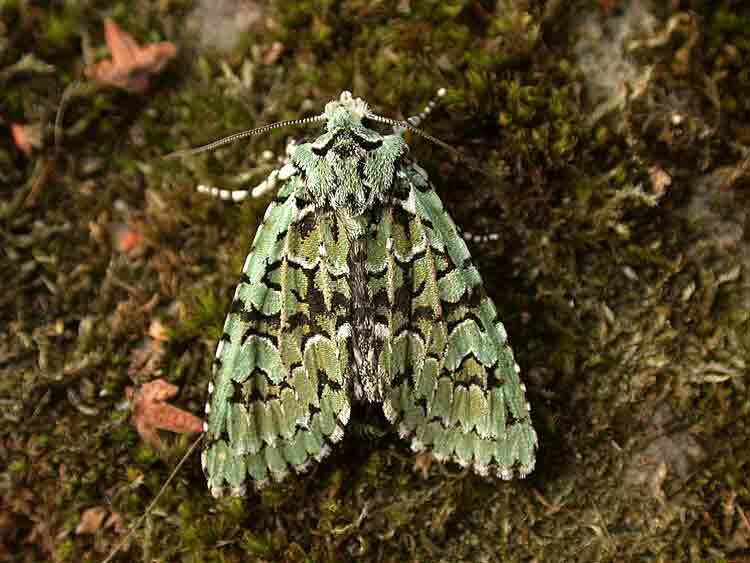 ID POINTERS – An unmistakable autumn species. 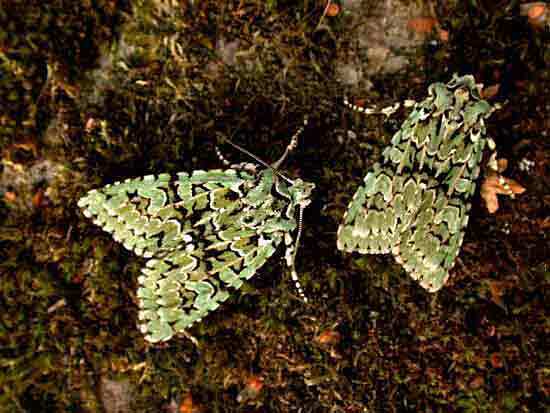 The forewing is covered in a pastel green and black marbling, with some white spots and fine lines. The wing is gently curved along the leading edge and fairly pointed at the tip. A total uniquely marked British moth. Very aptly named – “Wonder of the Day”. FLIGHT PERIOD – On the wing September – October.